Evry, 1st June 2017 – The EU and African PEVIA consortium, created by Vaxeal,today announced that it received a grant of 6.2M€ from the Innovative Medicines Initiative 2 Joint Undertaking (IMI 2 JU) for the development of a new generation of vaccines that provide protection against all major Ebola strains (pan-Ebola vaccine). The World Health Organization (WHO) has announced that Ebola is now one of the most dangerous diseases to threaten the human race on a global scale. The severity of the recent outbreak of Ebola in Western Africa has reached historic proportions and underscores the vulnerability of populations worldwide to pathogens. No vaccines or antiviral drugs are currently approved for prevention or treatment of Ebola infections in humans. However, the severity of the recent Ebola outbreak in West Africa and failure of the health care system to contain the infection point out the need for the rapid development of safe and effective preventive vaccines. The PEVIA (Pan-Ebola Vaccine Innovative Approach) project aims to develop and to bring to the clinics an innovative pan-Ebola preventive vaccine, safe and effective against multiple Ebola virus strains and fully adapted for large-scale vaccination in endemic regions. This collaborative project also focuses on the development of innovative functional analysis tools to accelerate the development of new vaccine candidates against EBOV and other Filovirus, and diagnostic tests. PEVIA project expects to bring a significant impact on global health and to increase the readiness to respond to future outbreaks of Ebola and other filoviral haemorrhagic fevers. PEVIA is a public-private consortium made up of 13 partners from 6 countries involving 3 small and medium enterprises (SMEs), and experts from 10 academic institutions, including two BSL-4 laboratories and four clinical centers (EU and Africa). PEVIA is a 6 years project started in June 2017 and with a total budget of 17.7M€. VAXEAL Research, represented by the Dr Ahmed Bouzidi and Dr Jérôme Kerzerho, is the Scientific Coordinator and a contributing partner to the PEVIA project, and the Assistance Publique - Hôpitaux de Paris (AP-HP), represented by the Pr Odile Launay, is the Project Coordinator. Vaxeal Holding SA is headquartered in Vevey, Switzerland, with operations in Evry, France (VAXEAL Research). 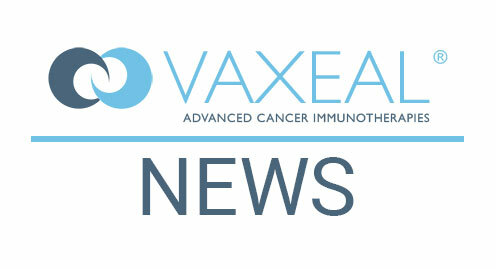 The company, in partnership with leading international research institutes, is developing therapeutic vaccines in combination with immuno-modulatory drugs for the treatment of cancers and infectious diseases. The cutting-edge immunotherapies are protected by several patent families and initial programs have reached the pre-clinical stage in major disease segments. Visit www.vaxeal.net for more information. The Innovative Medicines Initiative (IMI) is a public-private partnership (PPP) between the European Union (represented by the European Commission) and the European pharmaceutical industry (represented by EFPIA, the European Federation of Pharmaceutical Industries and Associations). IMI is working to improve health by speeding up the development of, and patient access to, innovative medicines, particularly in areas where there is an unmet medical or social need. Visitwww.imi.europa.eufor more information.